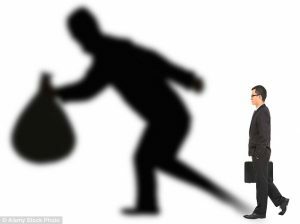 The stark reality of the situation regarding the massive and seemingly unrelenting tide of fraud which is sweeping across the UK is laid bare in this article published recently on the thisismoney.co.uk website. So where does leave businesses and customers, well the writing is on the wall, it looks very much like Banks will be looking to where possible lay the lose back onto the individual, which whilst being tragic for the individual concerned is ,I believe, reasonable in many circumstances as humans being humans if we think we will always get our money back we tend to take less care. However not every instance can be put down to lax behaviour of the customer, it is well known and generally accepted that much of the current frauds perpetuated have the assistance of an inside agent. This is where CFIL come in. We have developed a range of professional development courses which help Prevent,Detect, Analyse and Respond to the potential occurrence of fraud and malfeasance. We are keen to work with businesses of all sizes and working with our partner organisations believe we have a range of solutions which will assist in mitigating the risk of Fraud in your organisation. Contact us on 01702 201967 or email us on info@centreforinvestigativelearning.co.uk for more details.